12 oz. Box Southern Trash - contains our gourmet pecans for your snacking pleasure! Our Southern trash is sure to be a favorite! 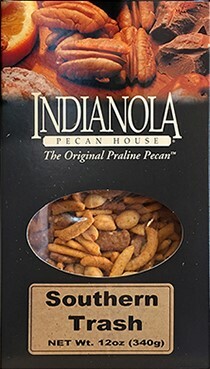 Try this spicy snack with some of our praline pecans!